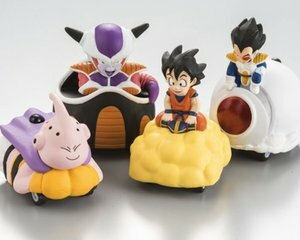 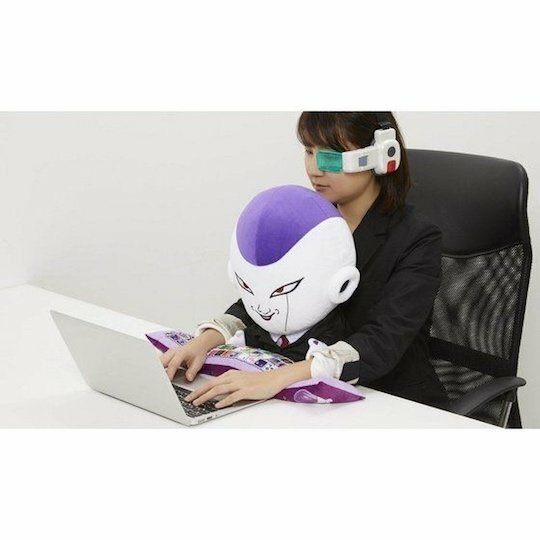 Arriving from the world of Dragon Ball into your office! 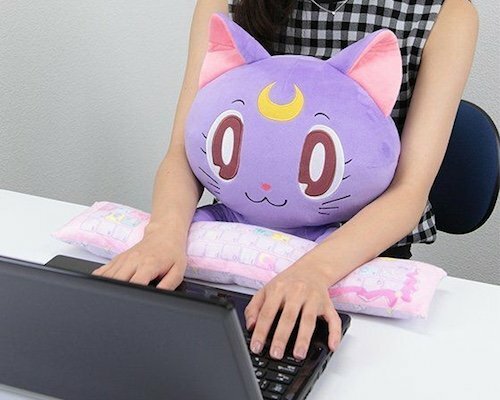 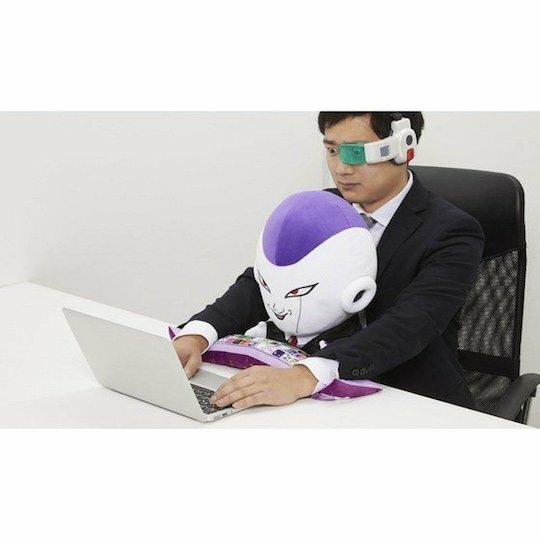 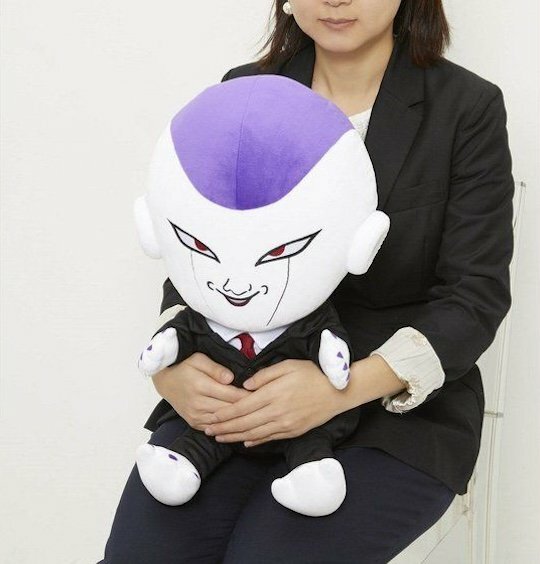 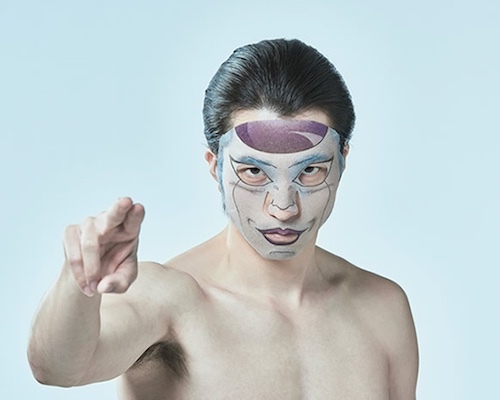 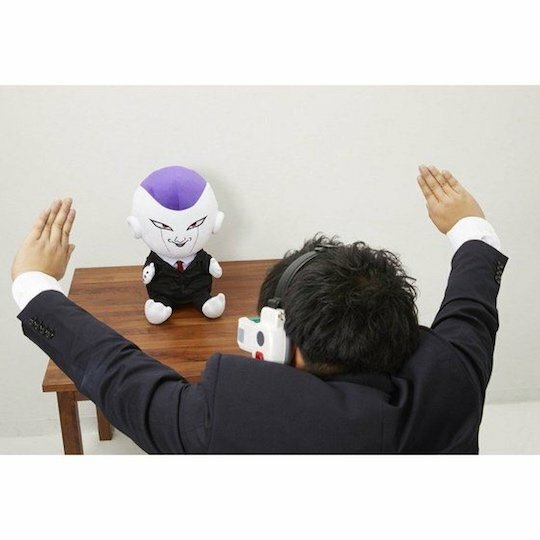 The Frieza Salaryman PC Cushion is your new desktop companion who will help make using your computer more comfortable and exciting. 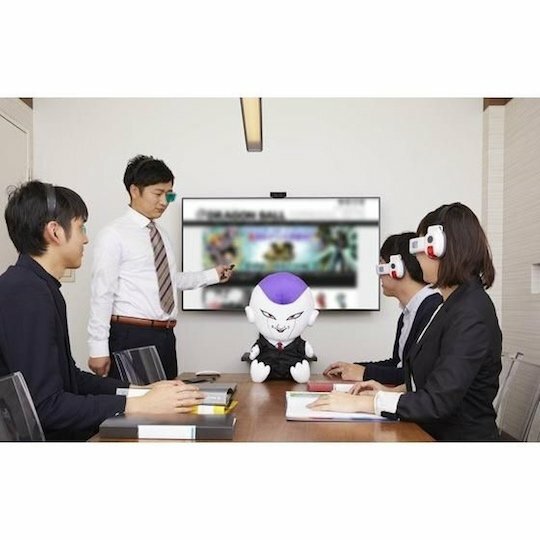 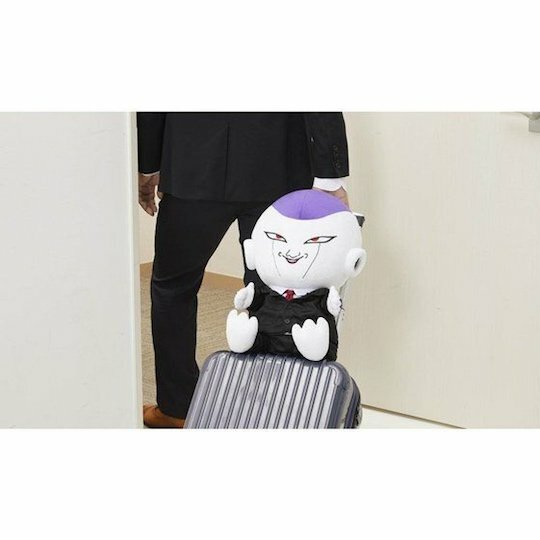 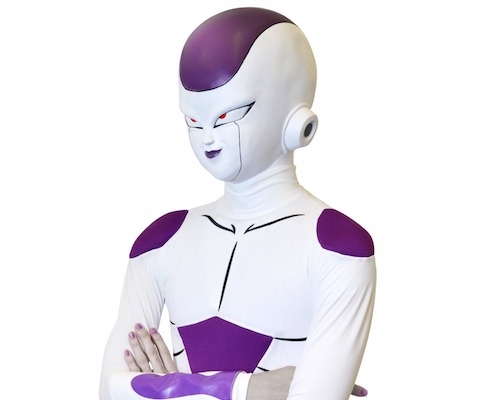 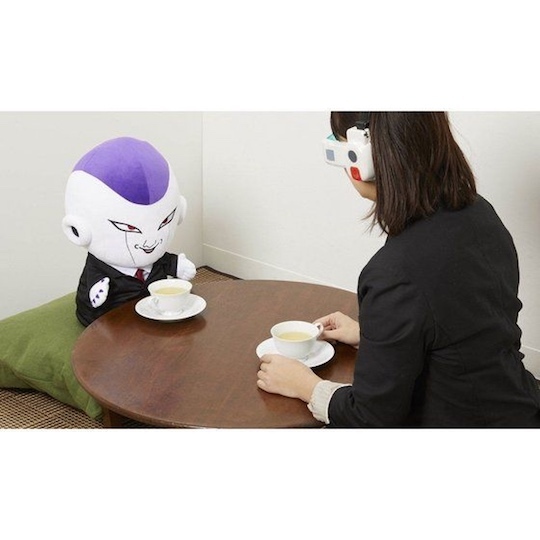 Alternatively, Frieza can also accompany you to meetings, sit on your suitcase when traveling, or keep you from getting lonely on those coffee breaks at work. 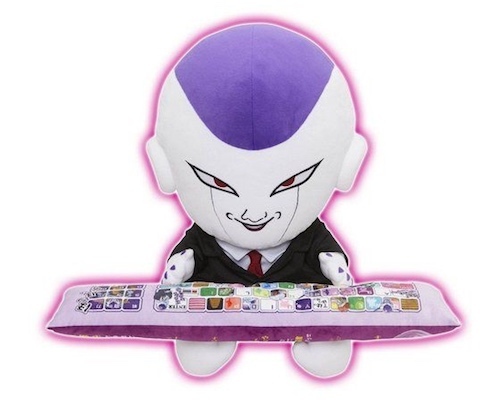 Frieza is dressed in a suit like a mini salaryman. 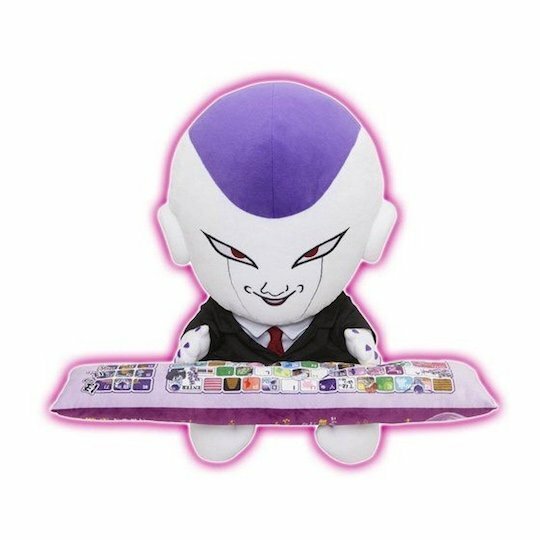 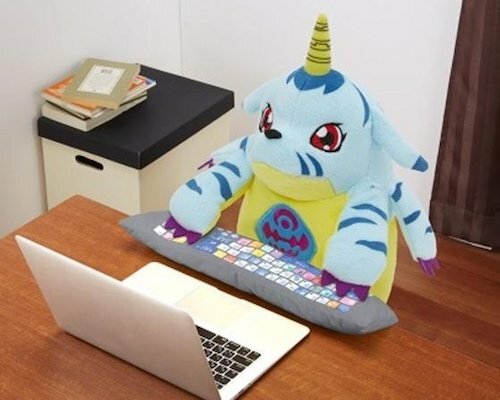 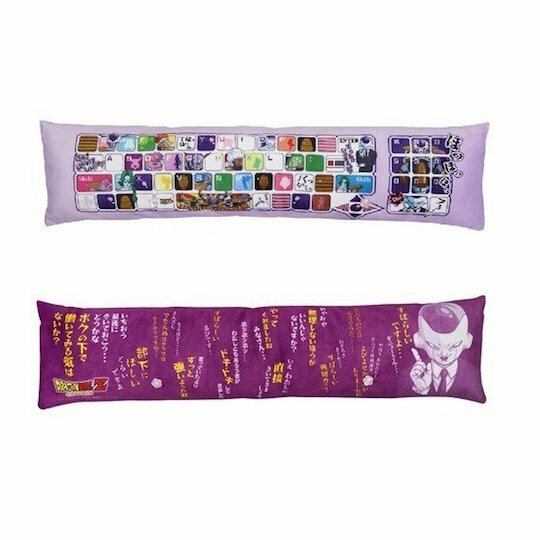 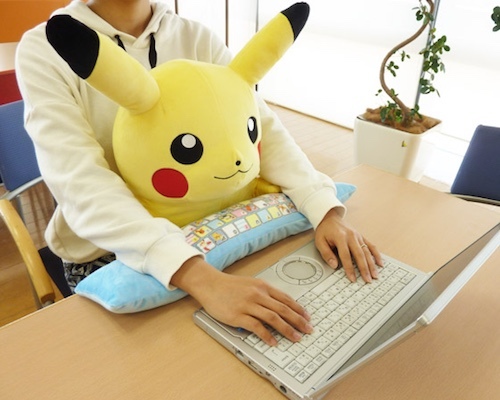 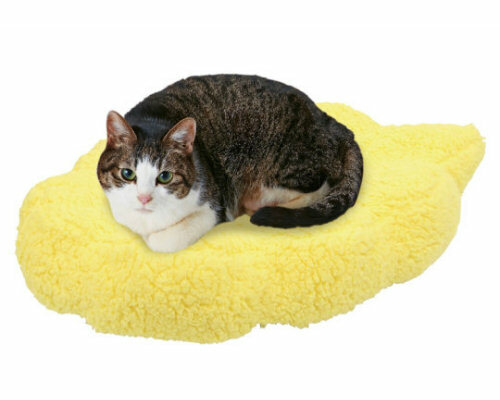 He also comes with a special decorated keyboard-shaped cushion rest for your wrists. 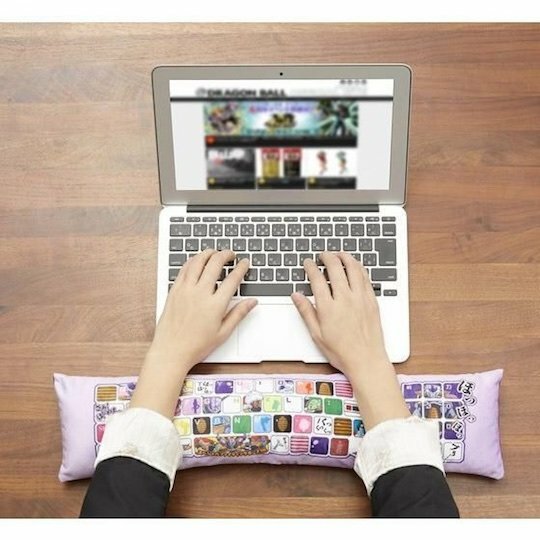 The office will never be the same again!